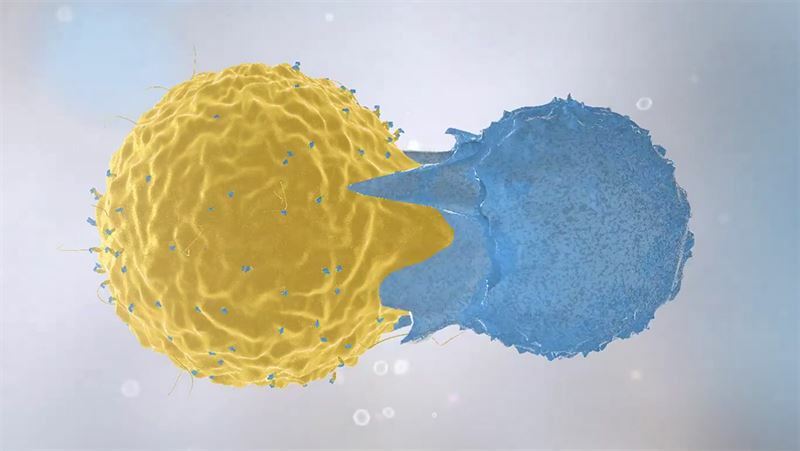 Our European phase IIb trial DIAGNODE-2, where the diabetes vaccine Diamyd®is administered three times in a superficial lymph node is close to being fully recruited. Currently, 93 out of 106 patients have been randomized and in the beginning of March we were able to give the green light to the clinic in Rotterdam in the Netherlands to start recruiting. This together with high patient retention rate ensures that we keep our timelines and will close the trial for recruitment during the spring. Results are expected in the third quarter in 2020, and as previously communicated our aim is to file for a conditional marketing authorization in Europe end of 2020. Diamyd®is a therapeutic that has demonstrated very good safety in trials with more than 1,000 patients and there is strong support of a positive biological effect of the therapeutic. Most importantly, recent results based on intralymphatic administration of Diamyd®support an efficacy profile that is both clinically highly relevant as well as unique, and the treatment regimen is simple and therefore aligned with high patient acceptance. Supported by these key insights we are moving forward with confidence and we are seeing increased international visibility highlighting the work we are doing. Recently an interview by the US non-profit T1DExchange was published featuring our efforts to cure type 1 diabetes. Diamyd Medical has also been invited to present the diabetes vaccine Diamyd®at the international scientific conference Vaccines Forum in Valencia in May. Preclinical data indicate GABA's potential to stimulate growth and function of insulin-producing beta cells. Increased GABA concentrations activate GABA-specific cell surface receptors leading to effects on the cells in the pancreas. The Company announced that preparations for a Conditional Marketing Authorization Application in Europe end of 2020 are underway, including regulatory, manufacturing and commercial activities as well as preparations for a Phase III clinical trial in Europe and the US, to be completed post-approval in support of an accelerated approval process. Diamyd Medical announced that 91 patients were included in the DIAGNODE-2 trial. Results from the trial are expected during the third quarter of 2020. A scientific article published in Journal of Diabetes Research supports previous findings that form the basis of patent applications that Diamyd Medical exclusively licenses from University of California, Los Angeles (UCLA). The study shows that treatment with GABA in combination with the GABA receptor modulating agent Alprazolam provides increased effect on the survival and growth of insulin-producing cells in animals. A follow-up double-blind randomized clinical trial where Diamyd®is administered directly into a lymph node in combination with treatment with vitamin D. The trial encompasses approximately 106 patients from Sweden, the Czech Republic, Spain and the Netherlands, aged 12–24 years that have recently been diagnosed with type 1 diabetes and will continue for a total of 15 months. Results are expected to be presented in the third quarter of 2020. The trial is a follow up of DIAGNODE-1. The aim of the trial is to evaluate the patients’ remaining insulin producing capacity. Coordinating Investigator is Professor Johnny Ludvigsson at Linköping University, Sweden. Diamyd Medical is the Sponsor of the trial. An open label clinical trial, where Diamyd®is administered directly into a lymph node in combination with treatment with vitamin D. The trial comprises twelve patients between the ages of 12 and 30 newly diagnosed with type 1 diabetes and will continue for a total of 30 months. 30 months results are expected to be presented in the first quarter of 2020. The aim of the trial is to evaluate the safety of the combination treatment and the effect on the immune system and the patients’ insulin producing capacity. The trial is led by Professor Johnny Ludvigsson at Linköping University. An open-label, investigator-initiated clinical trial with Remygen®. The trial includes approximately 30 patients aged 18-50 who have had type 1 diabetes for more than five years with low to non-existing insulin production. The primary aim of the trial is to in a smaller dose escalation section evaluate the safety of Remygen®. The main trial also evaluates whether the insulin-producing cells can be regenerated using Remygen®. The trial is led by Professor Per-Ola Carlsson at Uppsala University. A placebo-controlled clinical trial, where Diamyd®is given subcutaneously and being tested in combination with GABA. In accordance with agreement with Jansen Research & Development and JDRF the trial has expanded to comprise 95 patients between the ages of 4 and 18 recently diagnosed with type 1 diabetes. The trial will continue for a total of 12 months and results are expected to be presented in the last quarter of 2019. The aim of the combination treatment is to preserve the body’s residual capacity to produce insulin. The trial is led by Professor Kenneth McCormick at the University of Alabama at Birmingham, USA. An open label clinical trial, where Diamyd®is given subcutaneously and being tested in combination with etanercept and vitamin D. The trial comprises 20 patients between the ages of 8 and 18 who have been newly diagnosed with type 1 diabetes and will continue for a total of 30 months. 30 months results are expected to be presented in the spring of 2019. The aim of the trial is to evaluate the safety of the combination treatment and the effect on the immune system and the patients’ insulin producing capacity. The trial is led by Professor Johnny Ludvigsson at Linköping University. A placebo-controlled clinical trial, where Diamyd®is given subcutaneously and being tested in combination with vitamin D in children at high risk of developing type 1 diabetes, meaning that they have been found to have an ongoing autoimmune process but do not yet have any clinical symptoms of diabetes. The trial includes 26 children and results are expected in the beginning of 2020. The aim of the trial is to evaluate whether Diamyd®can delay or prevent the participants from presenting with type 1 diabetes. The trial is led by Dr. Helena Elding Larsson at Lund University, Sweden. This information is information that Diamyd Medical AB is obliged to make public pursuant to the EU Market Abuse Regulation and the Securities Markets Act. The information was submitted for publication, through the agency of the contact person set out above, at 08.15 CET on March 27, 2019.